beach – "After all it was a great big world… with lots of places to run to." I’ve had a bit of an extended break from blogging, as I packed up my life in Korea, sat on my suitcases, in hopes that they would actually zip- and moved back to America. I’ve been home for a few weeks now, and, though I have some things I would still like to write about in Korea, I think I’d like to start writing what I’ve been doing around America. First stop? Rehoboth Beach, Delaware. My mom and I have been going to Rehoboth every summer since I was a little kid. It was really nice to head back to the beach this year. Perhaps you’re thinking- ‘but wait. She hates hot weather, and sun….’ Well, I also dislike sand… and pretty much the beach in general. But, I like to see it. And hear it. And eat ice cream. And walk along the boardwalk and smell the beachy air. I’m just not really a fan of sitting on the actual beach. 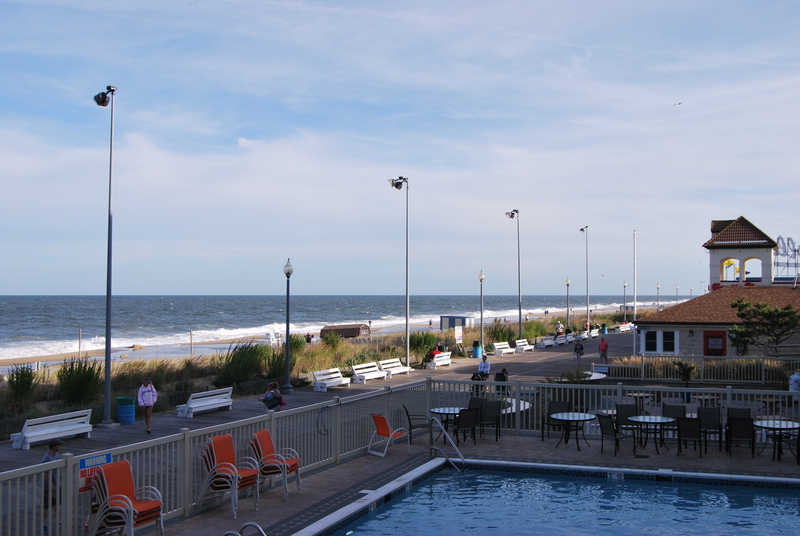 I really like Rehoboth because there are tons of shops and cafes and restaurants around the beach area, in easy walking distance. 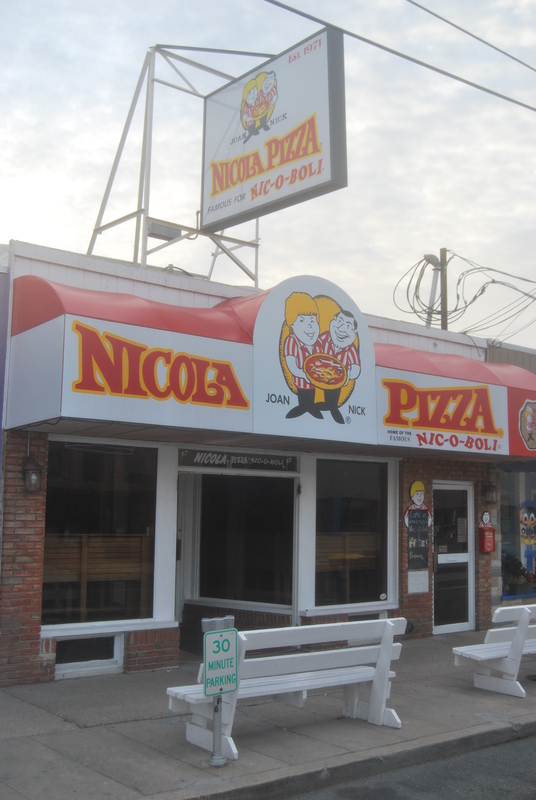 One of our favorite places is Nicola’s Pizza Shop. Home of the Nic-o-boli, which is a delicious heap of meat and cheese wrapped in pizza dough. It always on the list of places to stop, and has been a neighborhood institution for basically ever. And rightfully so. And, as an added bonus- they are really on top of drink refills. You will never be thirsty. My favorite place to check out (Since I am unbelievably cool) is the bookstore. 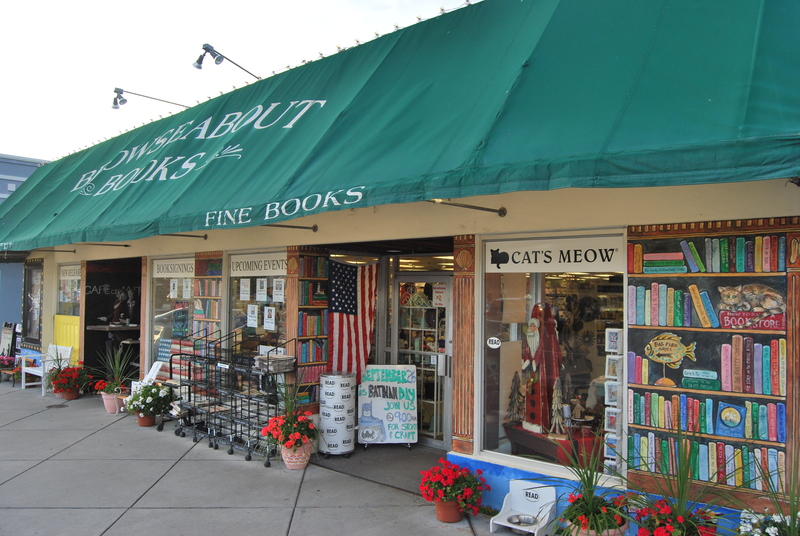 Browseabout Books is a great independent bookstore, which has everything you dream of in a bookstore. A great selection of new and used books. Friendly staff, and lots of staff recommendations, an entire section of the store selling house things and nick knacks, and a cafe. Basically, all that and a bag of chips. Dolle’s Candyland is another institution. 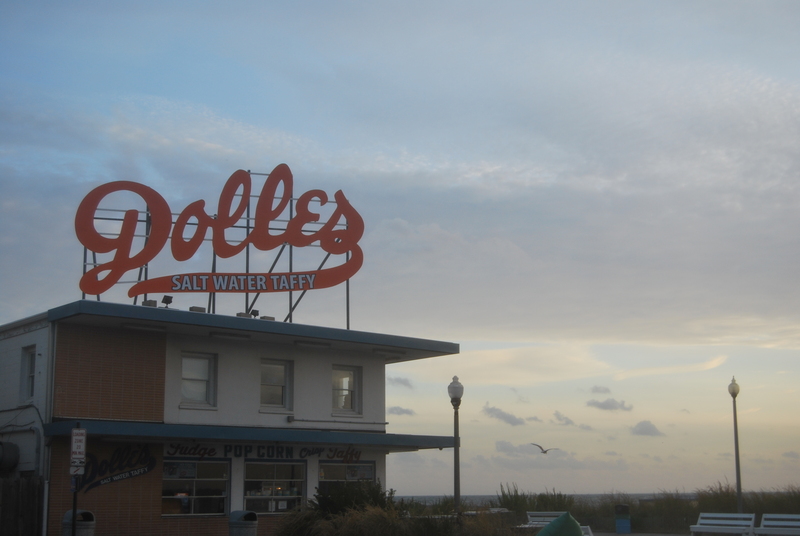 Located directly on the boardwalk, they sell all sorts of candy, but are famous for their delicious salt water taffy. Nothing says beach like salt water taffy. Directly across the street from Dolle’s is the Ice Cream Store. 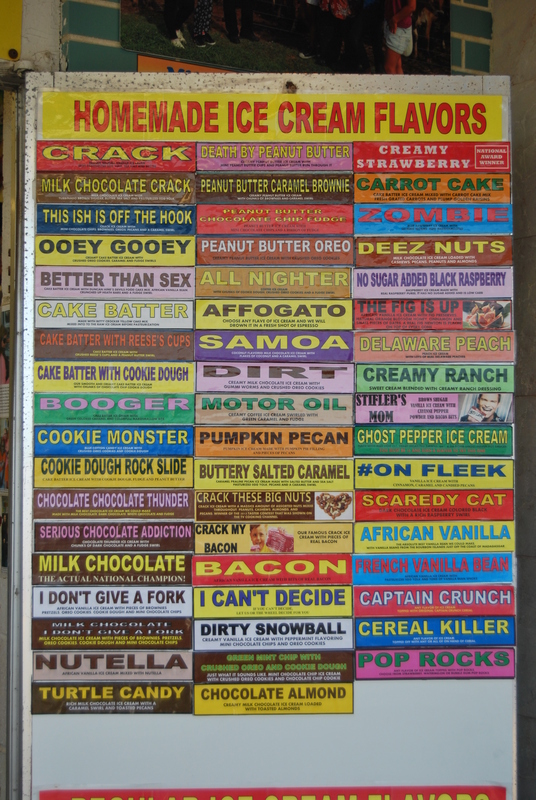 The Ice Cream Store has hundreds homemade flavors. And I can’t tell you all of them are great… but I can tell you all the ones I tried were phenomenal. They have wacky flavors like ‘creamy ranch’ and ‘motor oil’. They even have a ghost pepper ice cream that you have to sign a waiver before eating. I got a Samoa ice cream. And I can say without hesitation- if you have ever loved Samoa girl scout cookies- this tasted exactly right. It was beyond amazing. We also tried the ‘buttery salted caramel’ which was less girl scout-y, but just as amazing. 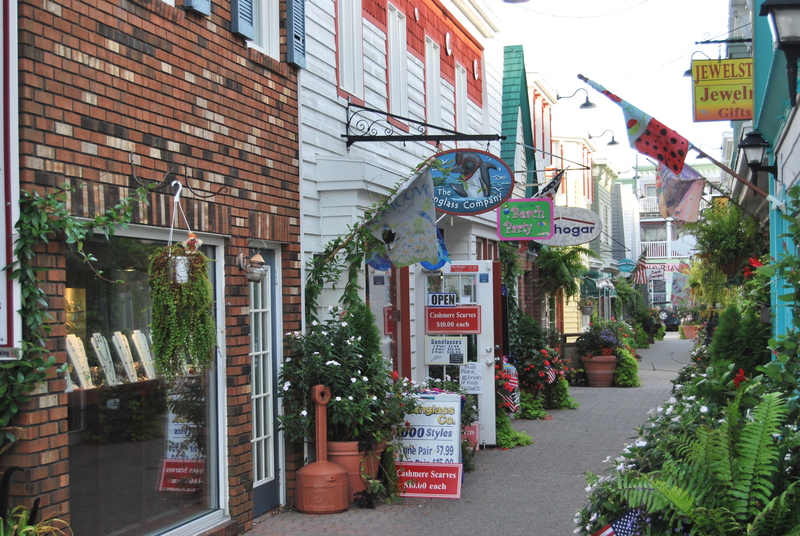 Shopping in Rehoboth is so much fun, because it’s filled with fun little side streets and alleys, lined with independent boutiques, shops, galleries, and cafes. This picture is of ‘Penny Lane,’ my favorite such side street. One of my very favorite things to do in Delaware is all-you-can-eat steamed crab. It’s pretty much the perfect meal. 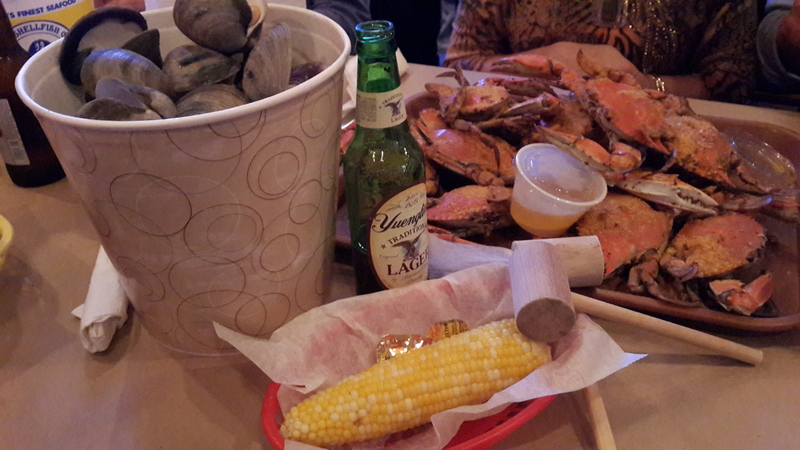 Corn, a bucket of steamed clams, a bottle of Yuengling, and a tray full of steamed blue crabs, coated in Old Bay seasoning. Not only are they delicious, they’re also incredibly fun to eat, even if it is a lot of work for very little crab. But any place that gives me a mallet as an eating utensil, is a good place in my book. 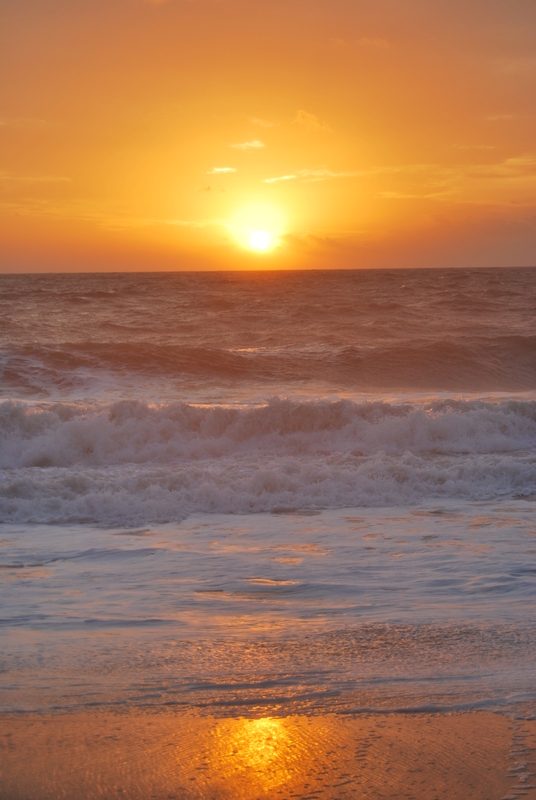 Now, in a pretty impressive change of pace for me, on this trip, I actually got up early, and dragged myself down to the beach to take some pictures of the sunrise. 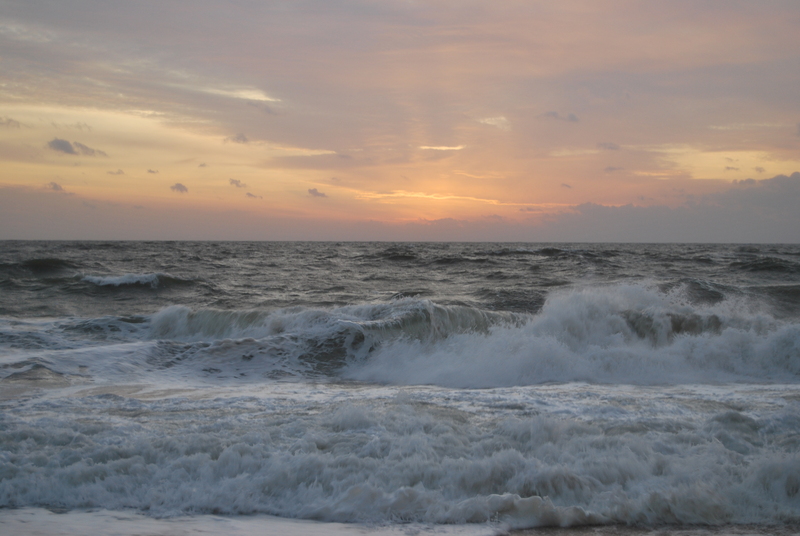 Due to some windy weather/ Atlantic hurricanes, the water was pretty choppy. Much bigger waves than I was used to seeing at this beach, and a rip current that made swimming very unsafe. No one was allowed in the water for the entire time I was there. Lovely for me, as I wasn’t going in the water anyway, but loved seeing the waves. So, now I’m off to upstate New York, and then over to Chicago before heading south. Hoping to be in Central America in about 3 weeks. Excited for the next trip! 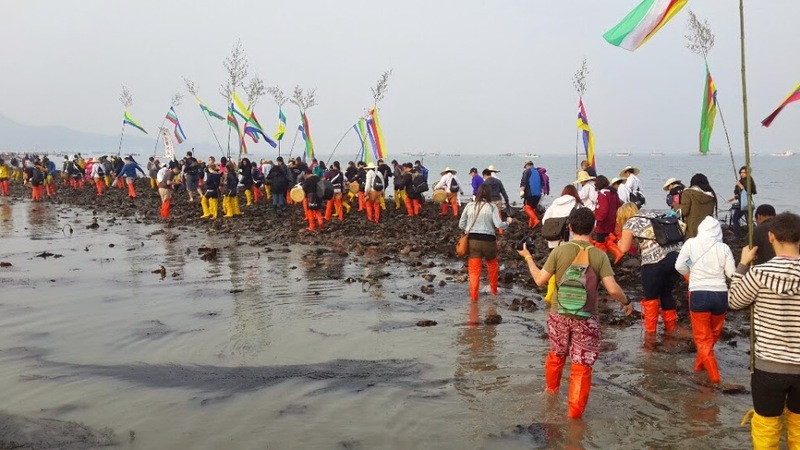 The Jindo Sea Parting Festival wasn’t even on my radar. I had never heard of it before. But some friends of mine were talking about going, and everyone had heard great things about it… and since they were all going, I decided “why not? 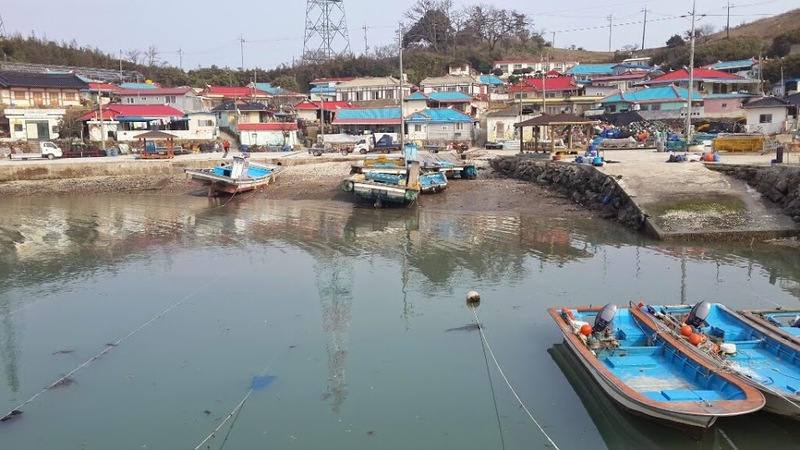 !” We all signed up for a trip down to Jindo, another of the islands on the south coast. As the trip grew closer, I actually researched the festival a little, and saw what the trip was going to be like, and it actually seemed really fun. So I got pretty excited about it. In anticipation, I watched the movie Exodus, and imagined that was what it was going to be like. 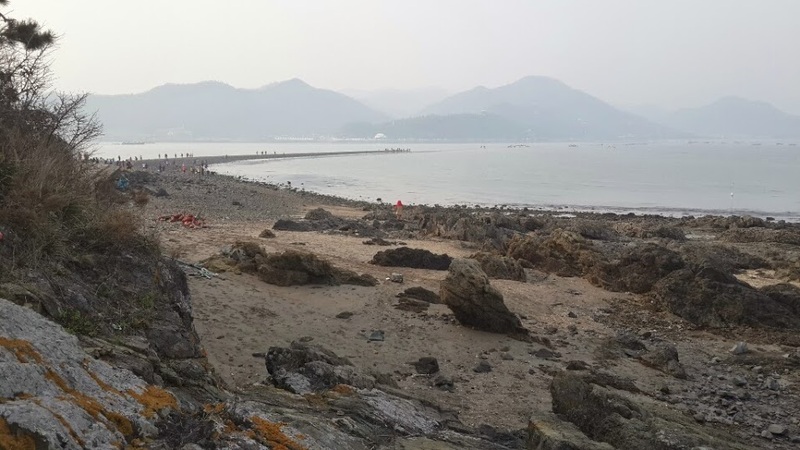 We left from Seoul at about 10pm on a friday night, driving all night to arrive at the seashore at about 5am. 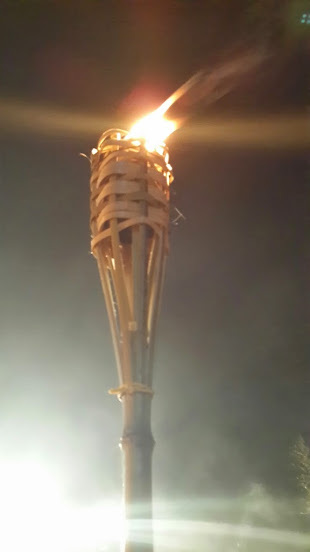 We quickly grabbed torches, and set off on the 5:30am torch walk. It was a good introduction to the festival, but I was a wee bit tired. My torch was majestic, though. The sea doesn’t completely part during the early tide, so we could only walk out about half a kilometer or so. But it was definitely interesting. 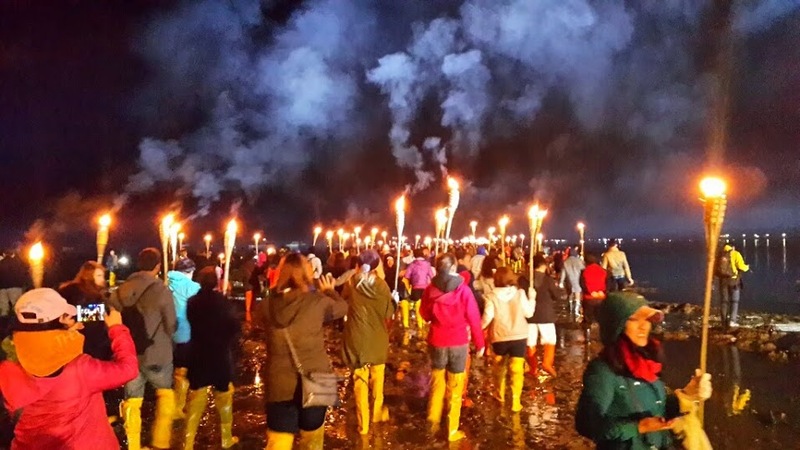 Not least because, while the torches look very cool, they didn’t reallllly light the ground so well, and it was pretty slippery. Also, there were a lot of pools that seeeeemed really shallow. But then you were suddenly knee deep in ocean. After our morning torch walk, we went to our pension to sleep and rest up for the actual festival. The main area of the festival was pretty crowded, there were lots of places selling food, and an international area selling food from other countries. It was a good time, but soon it was time for us to head to our boat. One thing I was very happy about on our trip was that we were taking a boat out to the island and walking back to the mainland. Rather than walking from the mainland to the island with everyone else. And the island of Mordor (seriously) was a wonderfully quiet little fishing village. We were on the island for a few hours, waiting for the sea to part. I think now is the time to address my biggest issue with the sea parting festival. 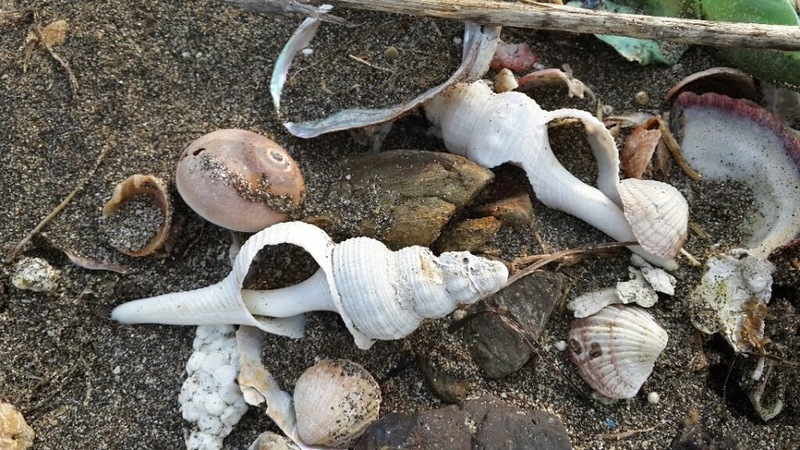 The sea didn’t part… it was extremely low tide. And basically a sandbar that stretched between the two islands. When the tide is low enough you can walk across. In high school, my best friend had a summer house on the beach, and there was an island off the coast that you could walk to during low tide everyday. So, maybe I was a little jaded. But #tides. 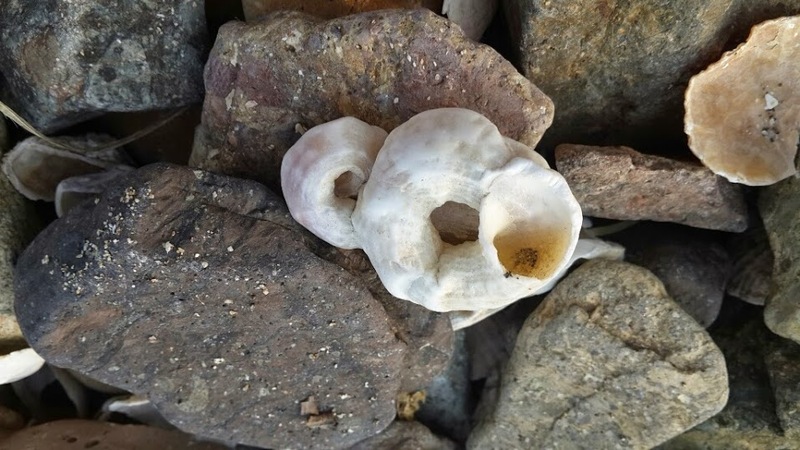 I had never seen a shell like that before, and was pretty sure i had found either A) a new species of sea animal or B) a fossil. Upon returning home I signed up for a shell collector’s message board and was promptly informed it was a worm shell. New to me, but not so exciting for anyone else. Finally, it was time for us to walk across back to the main island. 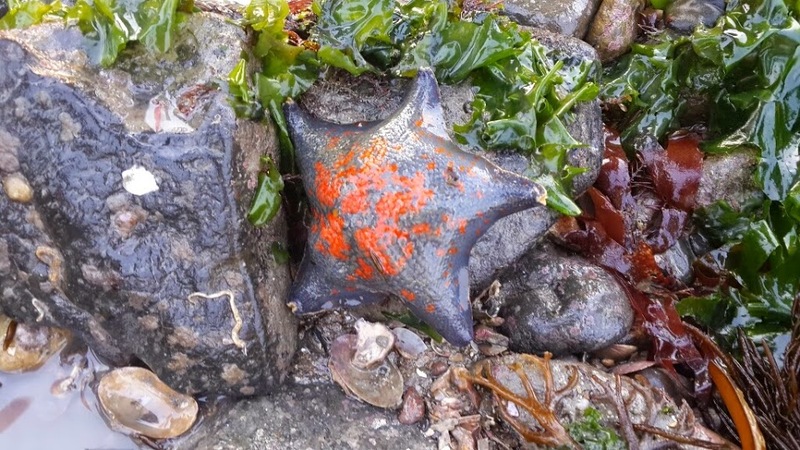 What I was not really expecting was to see so many marine animals on the walk, but it became my mission to find them. Unfortunately, other than the tons and tons of clams that could be seen squirting water up, there wasn’t too much to see. 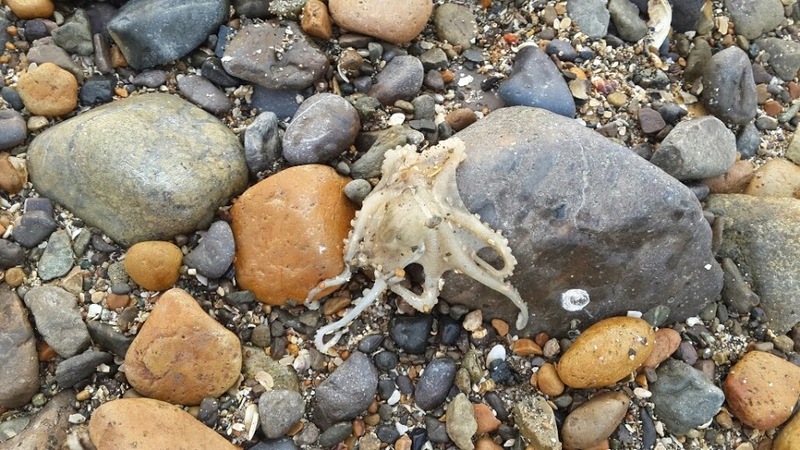 Except: This octopus did not get the memo that the sea would be parting. 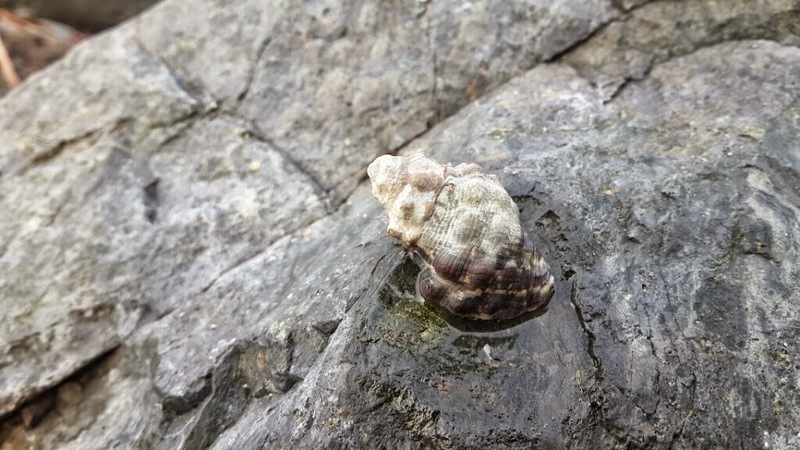 And this snail might have gotten the memo… but it did not move fast enough. Upon returning to the other side, we headed back to the hotel for dinner and sleep before setting off for Busan in the morning to take part in the Holi Hai festival. It was also a lot of fun, but unfortunately, I didn’t take my camera because there was so much paint flying. I’m so glad I had friends that had their eye out for cool festivals. It was a lot of fun, glad I went. And definitely something I had not really planned on doing.